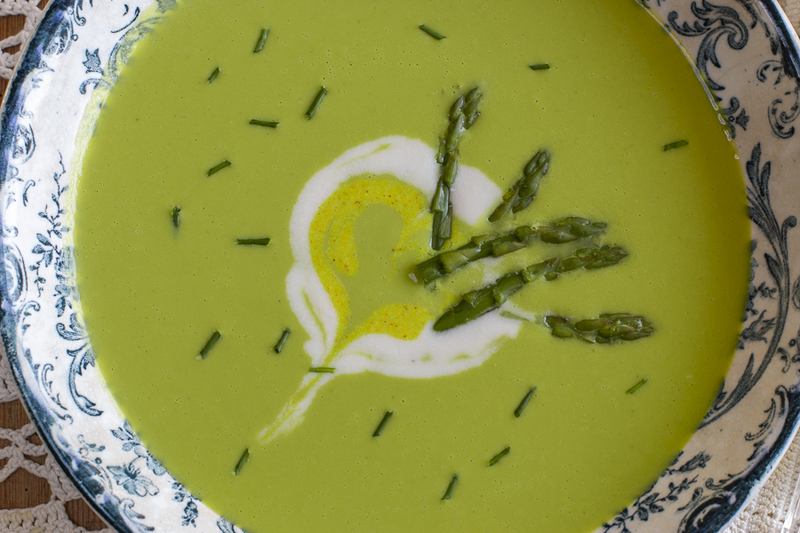 You’ll love this seasonal soup ~ fresh, local asparagus is now hitting the markets. 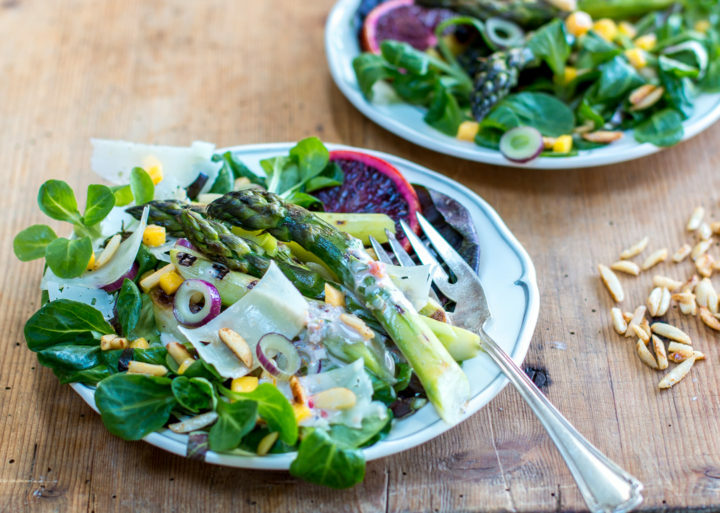 See too my favorite Asparagus Recipes for Inspiration and Healthy Meals! 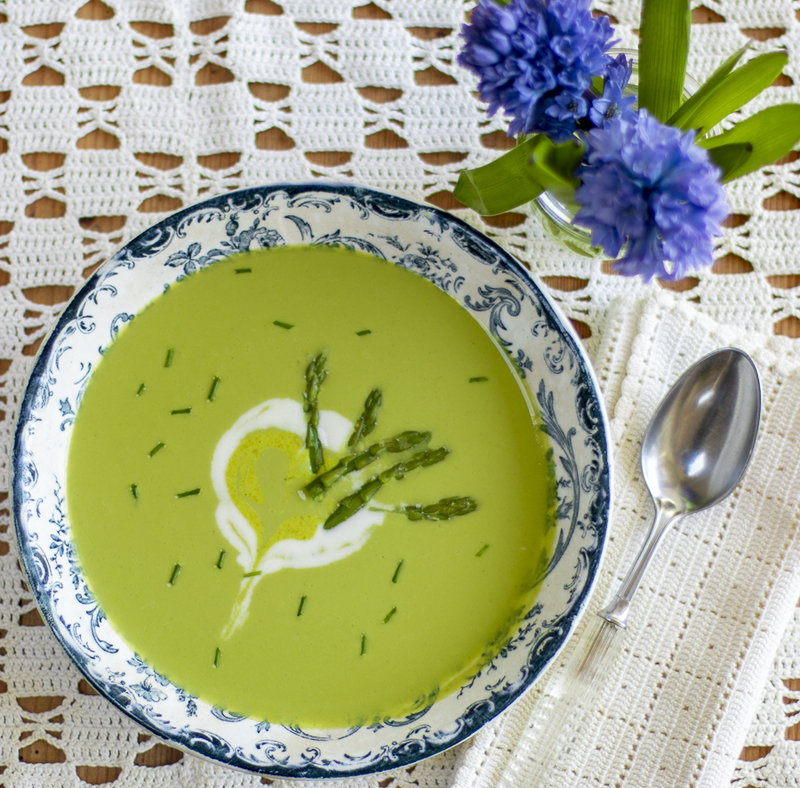 A bright green, velvety-creamy (yet no cream) delicious Spring Asparagus Soup. This Vegan and Dairy-Free Soup is made with healthy ingredients – the secret is some soaked raw cashews – it blends into a luscious texture. The Cashew Crema is made in seconds (after the nuts are soaked) – I like to add some curry powder so some for visual interest and and added note of flavor. The perfect restaurant quality Spring Salad! Choose fat asparagus and cook indoors in a grill pan – or outdoors in warmer weather. What makes a restaurant salad so special? – – layering the multitude of ingredients. This delicious warm dip is a perfect appetizer for game day! 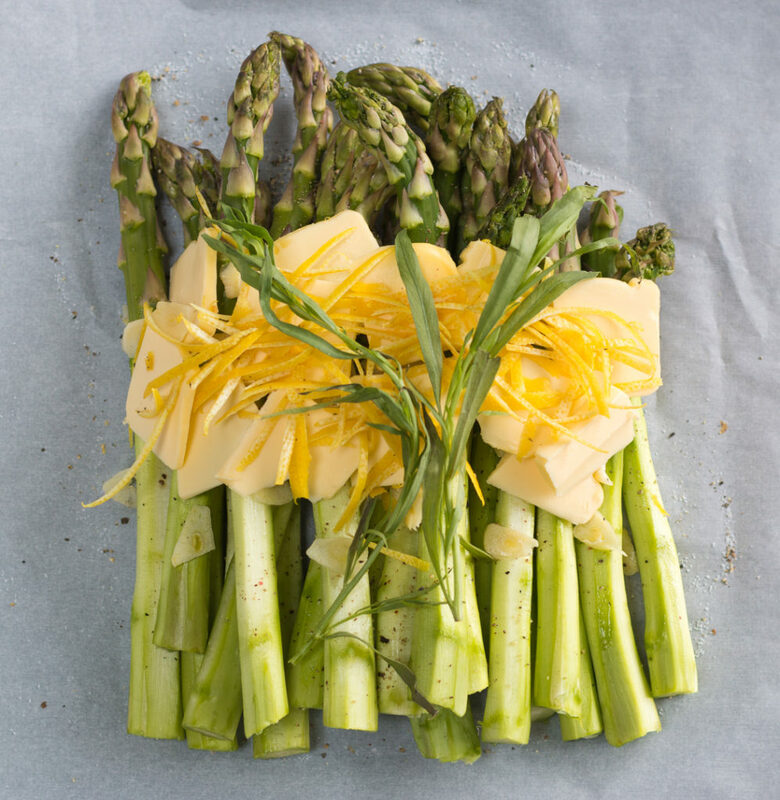 Asparagus replaces artichokes for a flavor-twist. A bevy of vegetables keeps the fat content at bay. 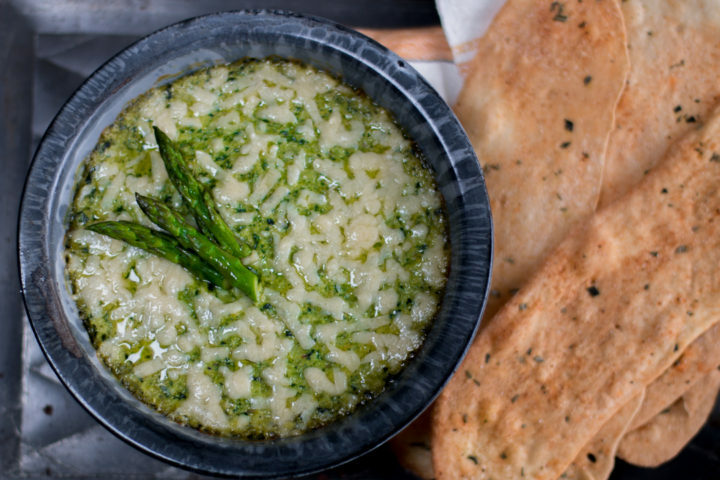 Class-up the traditional spinach–artichoke dip by swapping in asparagus – a favorite superfood. Spring Asparagus teams with Black Beans, Goat Cheese and Sautéed Apples inside these Corn Tortilla Taquitos. 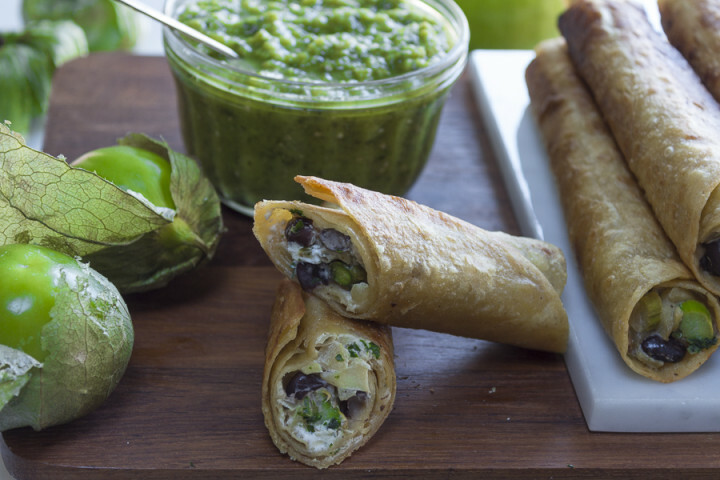 Serve them with a Tomatillo Salsa Verde for ultimate meal or appetizer! Taquitos are rolled corn tortillas with a savory filling, here with a tempting Vegetarian interior. They are cooked in a little oil, not fried, and finished in the oven until perfectly crisp. Middle Eastern Za’atar is a delightful zesty-herbal mix made even more special and pungent with Fresh Thyme and Fresh Oregano. 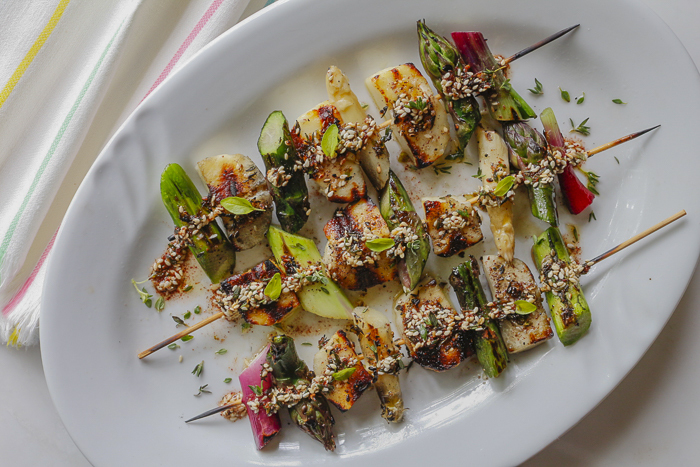 Baste it on my Vegetable & Halloumi Cheese Skewers, and Grilled Halibut with Garden Tomatoes. 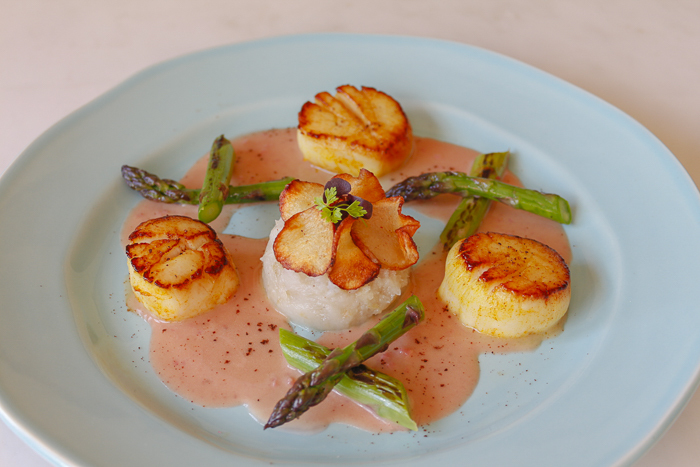 This recipe is a pure celebration of Spring! Spring “sides” here are Mashed Jerusalem Artichokes and Charred Asparagus. Enjoy the flavors of Spring!